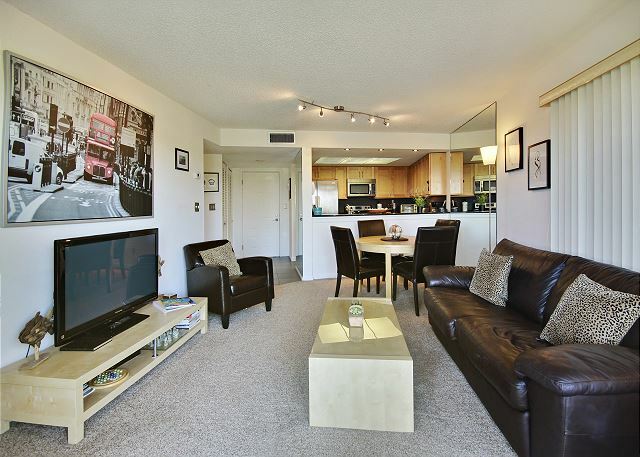 This comfortable 1-bedroom condo has been beautifully updated with modern furniture and a brand new kitchen that is fully equipped. The comfortable updates will make you feel right at home. 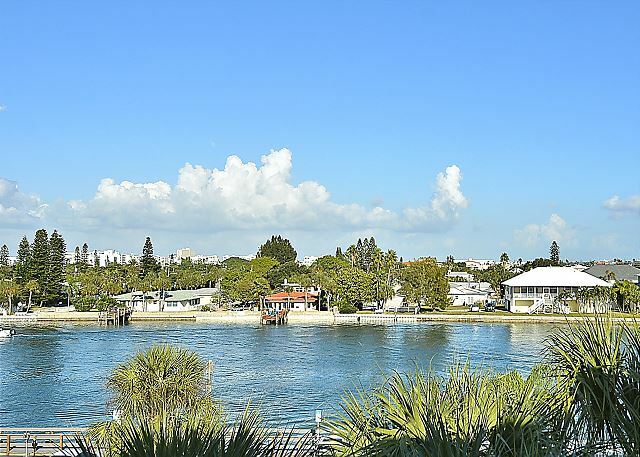 Plus, the view of the Intracoastal Waterway (Boca Ciega Bay) from the private balcony, living room and bedroom is wonderful. 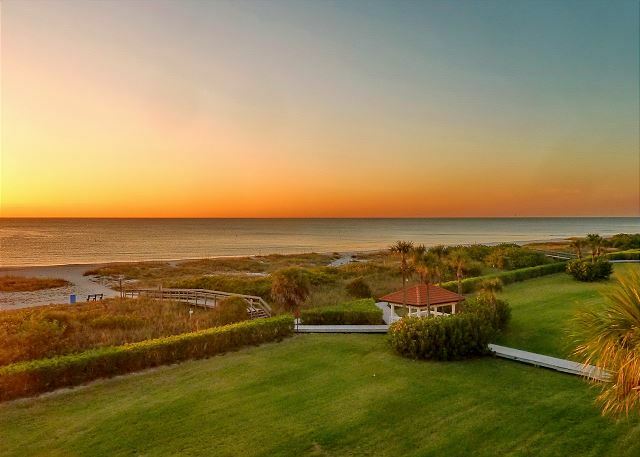 Plus, you just walk across the property to the beach. 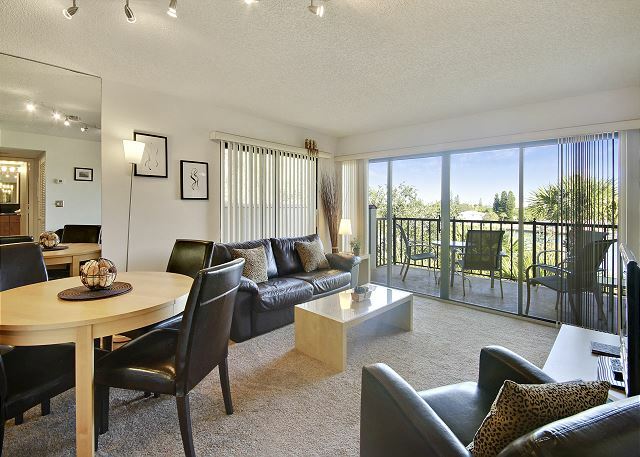 This lovely condo is located in the popular Sunset Beach neighborhood. Free wireless Internet access available! a) In total we were happy with the condo. b) The masterbed seems so be quire old, it should be changed to a new one. c) The Visitors of the pool should behave according to the pool regulations; before entering the pool, they should take a shower. Thank you for your feedback, we will be sure to share this with the owners in regards to the possible new bedding. We are sorry if anyone did not follow the pool rules, please do not hesitate to let the Land's End staff know if anyone is not abiding by the posted rules, they are happy to help. Thank you for choosing to stay with us and we hope to have you back for future visits! The condo was as described and as seen in pictures. It needs to be stated that the bed is VERY firm and lifeless, and is need of being replaced; it has lived it's life. Resort Rentals never disappoints and is the best vacation rental company out there. Resort Rentals is always welcoming, accommodating and their customer service is stellar. We enjoyed the condo development and the accommodation that we had. Found it very clean and comfortable. Everything "newish" and well maintained. Management office ("Janet") was very responsive to some difficulties that we had that were not their fault and they worked hard to accommodate us. I think the pool area would be very busy during the prime winter months, but was great for our stay in April. We are so sorry you found this and we will be sure to discuss this with our housekeeping staff. Please do not hesitate to contact us at our office if things are not as should be upon your arrival and we would be happy to have them come back out to correct this. We want you to be totally comfortable during your stay so please let us know. Outside of that, we hope you enjoyed the community as a whole and that we see you back for another visit. 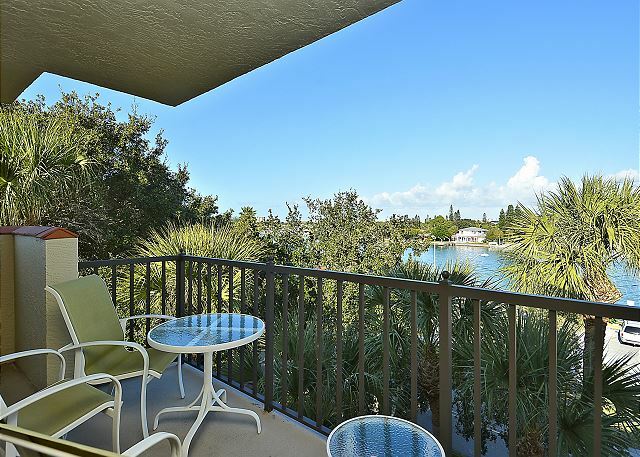 Beautiful condo on a beautiful beach with dolphins and manatee swimming by. Simply peaceful. We turned up after Irma and there was so little damage. The whole Holiday was wonderful. If you are taking kids leave everything at home and rent, pram (jogger), cot, toys, cool box, beach chairs etc from Daniel at Sharkeys rentals. Simply the best service. Everything was set up in our condo when we arrived. We've stayed at Lands End through Resort Rental 6X. They have never let us down. From the check-in to check-out it has always been smooth and efficient. The property description is accurate for #402, bldg. 1. Property was clean. The only thing I would recommend is they place some BBQ utensils in the kitchen. That was lacking. Minor in the scheme of things. We have stayed in a number of different units on this property, and #402 (building 1) is one of the best. They have updated the entire unit and it is surprisingly quiet and private. Originally, I hesitated booking on the bay side because of the bars across the canal, but this unit is tucked into the corner of the building and there is no noise with the sliders closed. The palm tree tops are just even with the balcony, creating a buffer from the parking area below and it is a very peaceful place to have your morning coffee! The only thing that was a bit off was the bed - it is a new style platform bed with no boxspring and initially I thought it was too hard, but I actually slept very well on it - no complaints. As always, the folks at Resort Rentals were easy to work with and provided us with all necessary check-in and check-out instructions. We are so glad this premier condo in building 1 was a good fit! The owners really did a nice job with the updates and we are so glad you enjoyed!!! We are sorry if the bed was not a good fit at first but glad you were able to get comfortable with it! Thank you for your kind words about our staff, we are always more than happy to help and love a happy, repeat guest!! Thank you for staying with us and we look forward to your next visit! stay. We are extremely satisfied!! So great to hear!!! :-) We look forward to visit #3! We are glad you enjoyed your stay in the premier unit at Land's End!! :-) Looking forward to your next visit! Condo was comfortable and very clean. Everything we needed was there. Rental agency was very professional and helpful. Hope to visit this property again. Thank you for your post! 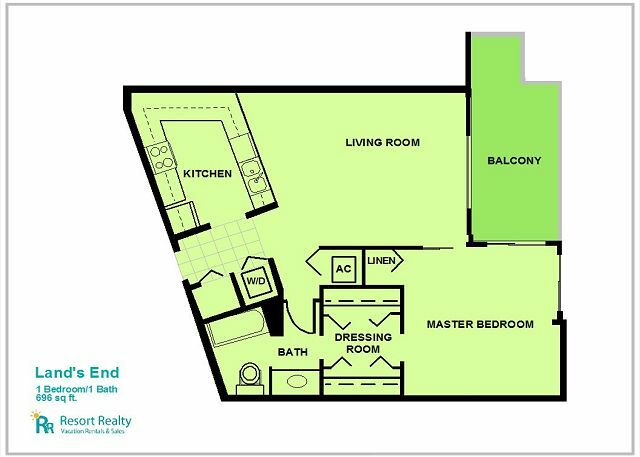 We are so glad you enjoyed your time at this premier condo in Land's End! :-) It is absolutely our pleasure to help how we can and we too hope to see you for another visit to Land's End!! Quiet, safe and very well maintained property. After our arrival, we complained the cleanliness from our appartement. The staff cleaned them prompt - super service! Thank you for your post! We truly apologize for the condition of the condo upon your arrival and if it was not up to par for you. Thank you for calling us so that we could rectify the situation!! We are so glad you enjoyed Land's End and we hope to have you back again soon! It was my fourth stay at Land' End, second time in the premium condo #402. The unit is in a very good condition. All things (except of the bulb in the shower) works perfectly. You look at the bay side, but the beach is only 50 meters away. 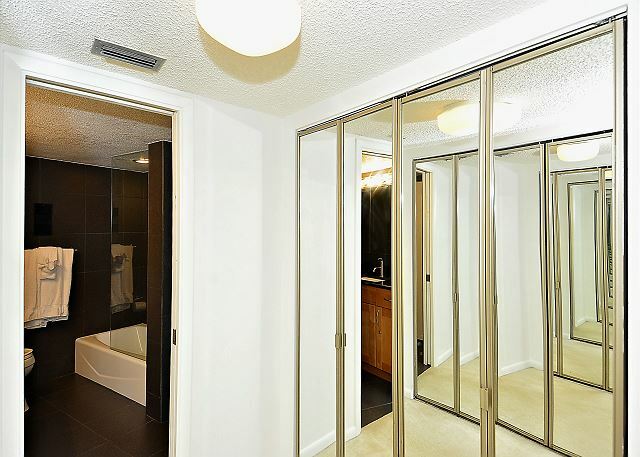 Very quiet (except sometimes improvements in other condos) and sober area. The beach have a lot of shells and at the last days of my stay hundreds of dead fishes. You can reach with a car (parking lot unfortunately not under the building) everything in 5 to 10 minutes (shopping, restaurants, gas station). Thanks for the post and we are so glad you enjoy this condo you stay in! :-) Should you have any light bulbs out, or any other maintenance item for that matter, please do not hesitate to call us at our office. We have staff in place to address anything that may come up and we are happy to come and take care of these items for you so that you are 100% comfortable during your vacation! The dead fish that you saw were due to red tide that came through the area. It is an algae bloom that affects the oxygen levels in the waters and that is why you saw the fish. It is a naturally occurring event that unfortunately comes without warning and then lasts for a short period of time. Sorry you had to see that, it is a sad thing. :-( But, luckily it does not happen very often and 99.9% of the time our beaches are just lovely and ready to enjoy! :-) Thank you again for your post and for being our guest and we look forward to seeing you back at Land's End! We have been staying at Lands End for 20 plus years and have never been disappointed. Not even by the weather! :-) We can't wait to see you again!! I knew this condominum since 2000 ! Every stay was very satisfied ! In the past we had many condos in defferent houses ! Everyone fits our needs ! This whole complex was wonderful, I come back ! there was hardly a view from our balcony because the trees were too high. Everything else was perfect though!! We would definitely love to go there again. loved your Condo & property!! 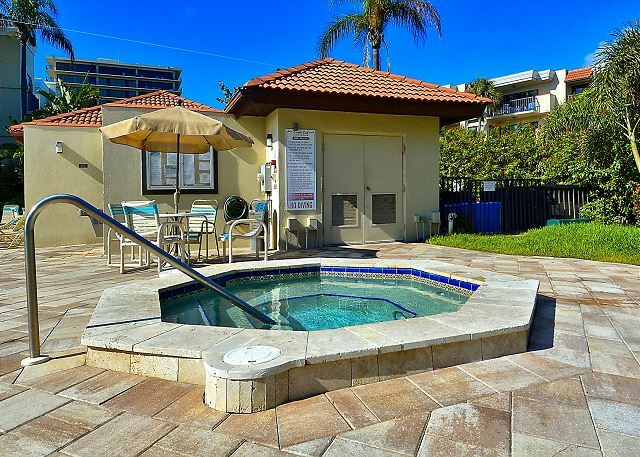 Nice unit, good pool and a nice atmosphere for our family. Beach could be hard to walk on at times because of shells but overall, nice place. This was our 5th stay at Land's End and the 2nd stay in the same unit. We were pleased to see that the owner made some suggested improvements - new livingroom chair and new wall to wall carpet. Kitchen remains well setup with adequate cooking tools for our needs. A lovely visit. 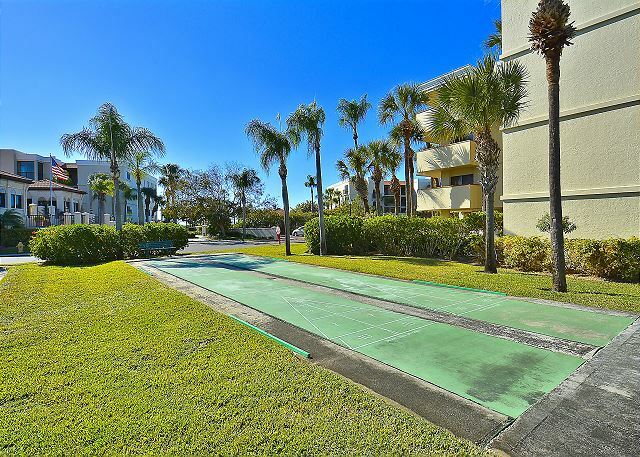 Overall Land's End is a well maintained resort in an excellent location. We were there for 1 month and 3 weeks out of the month the pool's heater was not working and there were some very cold nights and cool days. The unit itself is in need of a major upgrade and deep cleaning. It also needs a painting. We've stayed at other units and they have been much cleaner and more up to date. This unit didn't live up to my normal expectations for Land's End. Resort Rentals have always been very professional and their service is superb. This is the first year we have been disappointed in the rental unit. Very pleased with this condo. Décor was a nice change from the usual "beachy theme" and very comfortable. Appreciated the beach chairs for our use and great deck furniture. The premium condo looked exactly like the pictures on the homepage. Everything functioned well. Only the 2 TVs could be a litte bit bigger and the main balcony door should have a fly screen. It was my third stay at Land's End and I will sure come again. We had a wonderful time staying at Lands End. The unit was beautiful and VERY clean. 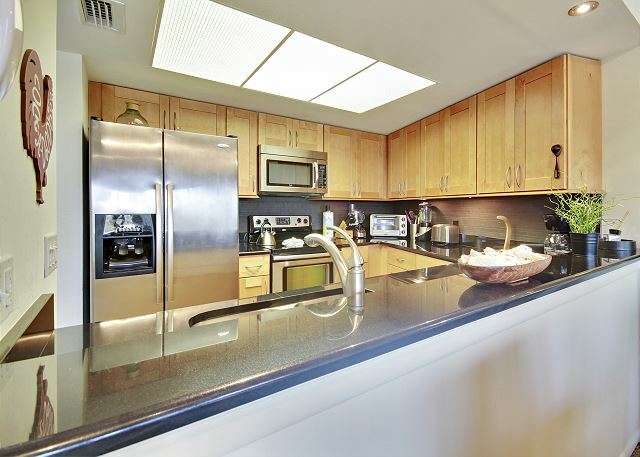 We couldn't have asked for better accommodations.The kitchen was very well equipped and the unit had a great view of the bay. There is even a small view of the ocean from the corner of the balcony. We were very impressed with the property. It was very well kept, quiet, and the pool was beautiful. We would definitely consider another vacation in this beautiful spot!! The condo was beautiful and very comfortable. We arrived on Saturday and found that the refrigerator was not working. Resort Rentals sent a repairman who let us know they would need to order a part. Resort Rentals provided a large portable refrigerator that worked fine. The resort property is well cared for and the staff is friendly. We enjoyed the beach and the pool This was our third visit but definitely not the last. We loved our stay at Land's End. 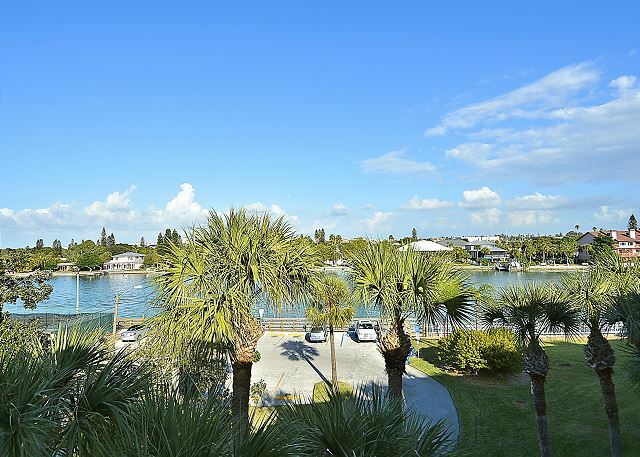 Condo was clean, upgraded with great view of intracoastal waterway. 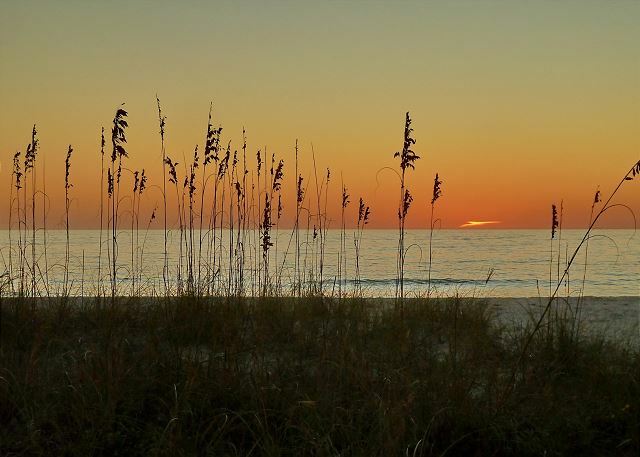 Fantastic beach and so close to all amenities. We found the unit well presented and worthy of a long stay. 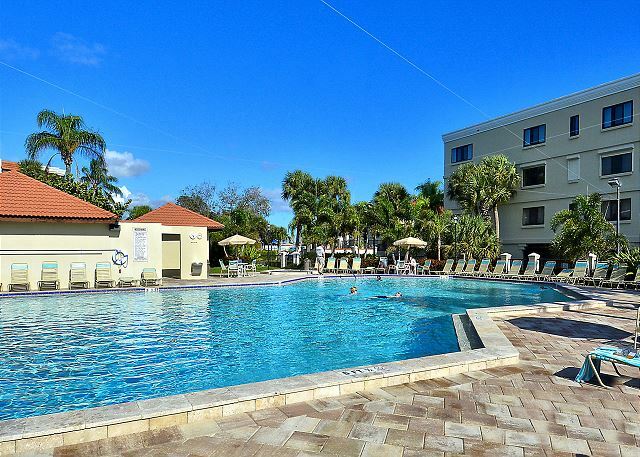 The location is excellent if you want a laid back vacation in the sun, yet a location that is within easy access to shopping and/or major tourist venues. The support we got from Resort Rentals was excellent and the minor problem we had with the WiFi was resolved very quickly. The staff were friendly and very helpful. Our stay at Resort Rentals was simply wonderful. 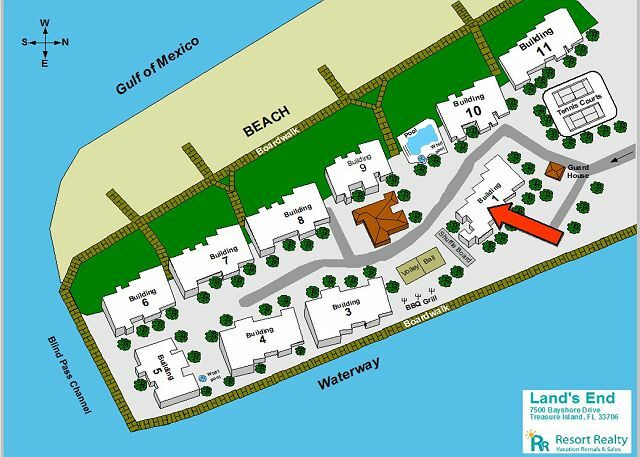 The property is at a great location directly at the beachfront. We were there in September and it was very calm which we enjoyed. The apartment is very well equipped and we would of course come back here without hesitating! Thanks for everything! We have stayed at Lands End on several occasions and this was by far the nicest condo we have experienced. We started coming to Lands End twenty five years ago and the property is as nice today as it was twenty five years ago - better actually!. Nice condo. Clean. Great for a couple, small for any more than two. Would definitely use this place again. Truly enjoyed our stay at Lands End. Friends were visiting from Koln, Germany and stayed at a hotel on St. Pete's Beach. All were impressed with the condition of the property, the privacy and the location was perfect. Land's End is a great vacation spot. Our condo was clean and has been updated. We have been going to Land's End for 14 years now which shows how much we enjoy it. 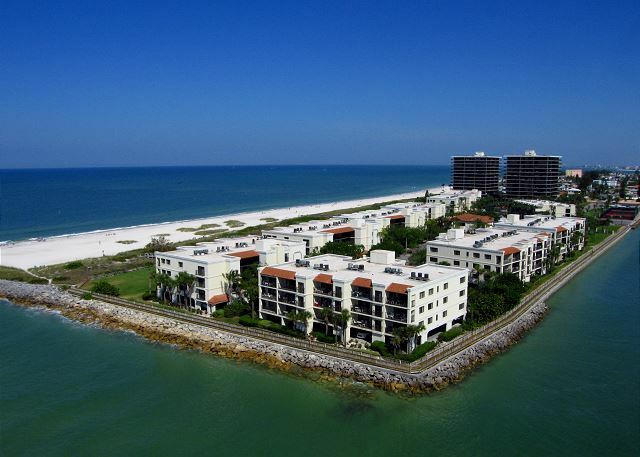 we really enjoyed this place, condominium and area around were great; good size poll, very close to beach and quiet. I enjoyed the time on treasure island very much and I think to come back. May I do a pre reservation for the month of nov 2014? Same condo. We love to come to Landsend it is always the best. We really enjoyed our stay again at Lands End. We have stayed here previously and it is simply a great location with awesome views and the building and grounds are kept in terrific condition. We have been to Land's End numerous times over the years and love it! Wir genossen den Urlaub in der schönen Wohnung 402 Buildung 1. Tolles modernes Bad, Küche etc. We have stayed at Lands End for several years and continue to enjoy this great place. 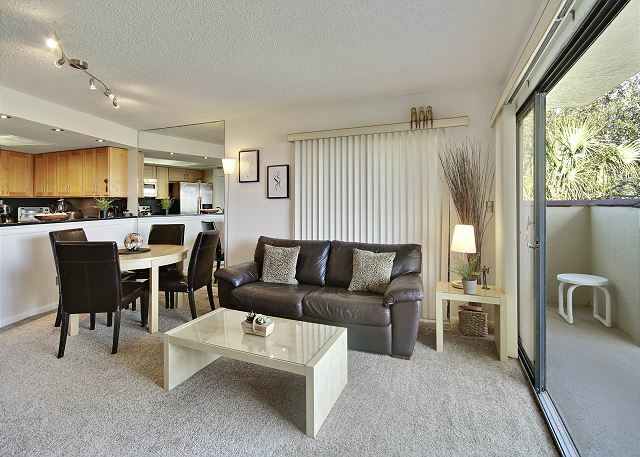 Staff is great, condo was clean, updated and the property was well kept as we have come to expect. We will be back next year and for years to come! Highly recommend Lands End and Resort Rentals. Over all this is a great and quiet location. The only thing that I would recommend is that they include a list of "local" favorite restaurants. 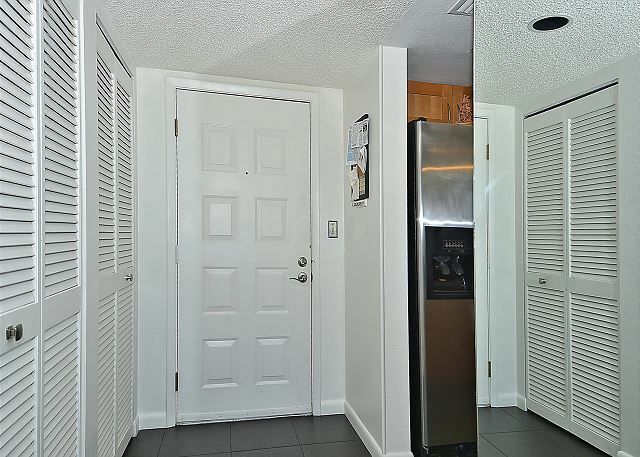 Unit needs updated dishwasher and washer/dryer. Good location and clean. 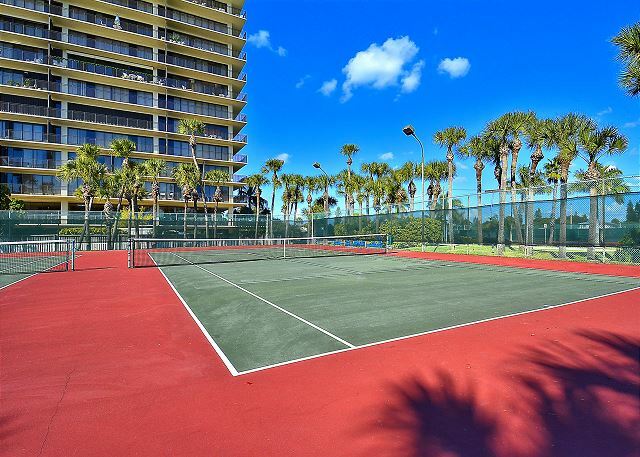 Great access to beach and nice community amenities. A nicely updated unit. 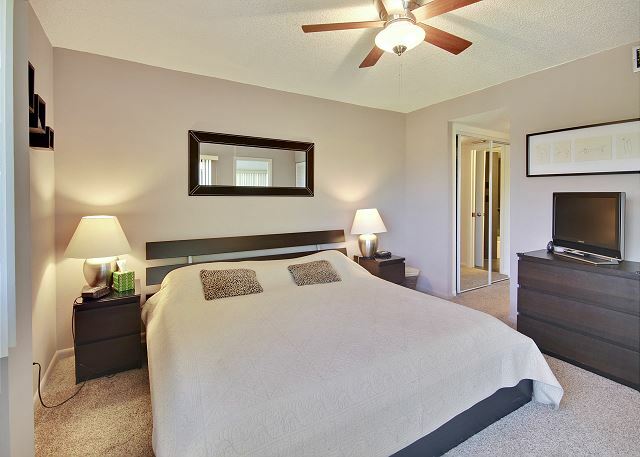 Clean and comfortable with all the required amenities. We had a great time again!!!! We wish we could have stayed longer,maybe when we hit the lotto. Great condo, made us feel like it was home. 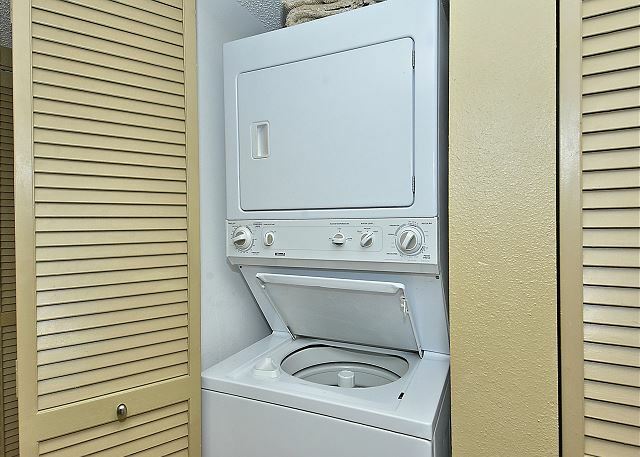 dryer was a nice touch. Nice location great pool and hot tube. It was great. We have been coming to Sunset Beach for about 10 years. I just love it at Land's End...we have been going yearly since 2008 and would recommend (we do) this place to everyone. The suite we stayed in was absolutely stunning. I would definitely book it again. 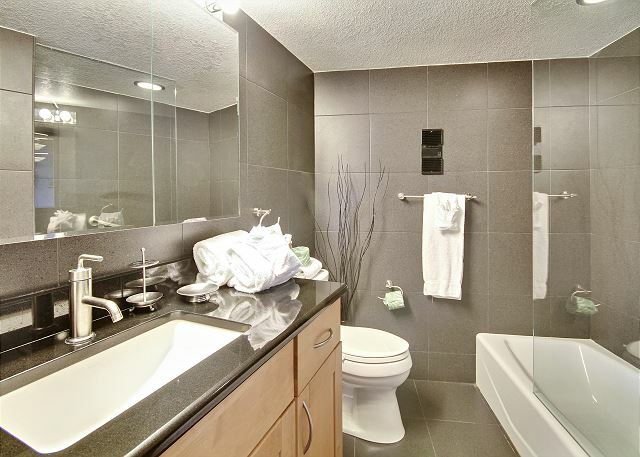 Beautiful high standard condo, very well equipped and in a very safe location. Very clean, just a couple of very minor issues. Rental procedure could not have been easier. Fabulous beach. Photos don't do it justice! We had an excellent time at Treasure Island. The condo was very modern and clean. We would definitely stay there again. The unit was exactly as described and had everything necessary to feel at home. The pool and pool area was quiet during our late April / early May stay. "Baby's Away" is a great option to help keep our packing light; items were waiting in the unit when we arrived. Thank you for such high numerical ratings! I will let the owners know your suggestions. Appreciate the feedback! Land's End is a lovely location . We were well treated by Resort Realty. Had a wonderful time. The unit was clean, quiet, good condition. 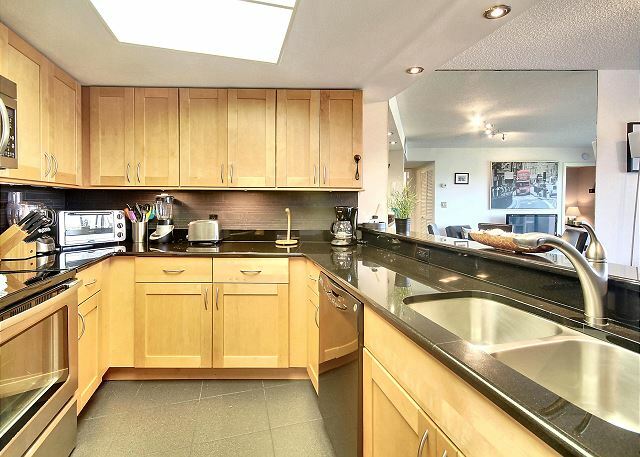 The property was very well maintained and the location was perfect. 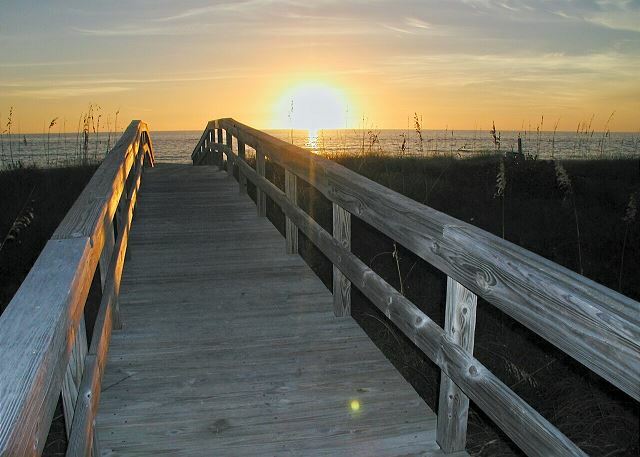 We could walk the boardwalk or the beach a few steps from our door. Grocery shopping near by, dinng out in the area was great, as was the night-life with may live entertainment bars very close. Had many walks to "Caddy's On The Beach" which was rock'n day and night. It was nice and quiet away from all the noise. Very clean and close to nearby shopping. We like a gated community because we feel safe. Accomodations were exquisite. The condo was excellent, updated and comfortable. Lands End had wonderful beaches, great pool and hot tubs. The place was secure and the people working there were friendly. Great places to eat and drink were close by, had a great time. Hope to go back again. My family and I spent the week from Christmas day to New Years day 2012 and we had an extremely good time. We loved our unit and the property location and amenities were first rate. We plan on returning in the very near future and we will definitely return to this location. Booking, check in and everything went exactly as planned. Thanks to everyone who maked this a very memorable vacation destination for us. Like at Home, But at the Beach. Our unit 402-1 was very well decorated and furnished, felt like being at home. Enjoyed the pool, the beach. Very calm, no crowds. Just enough out of the way to feel private, yet close to store when required. Also, pretty close to the the airport. Only possible improvement: Wish there was a fitness facility on the premises. Eine sehr schöne Wohnung, sauber und mit allem ausgestattet was das Herz begehrt. Man kann diese Wohnung wirklich sehr empfehlen. Absolutely Beautiful Renovation. Only wish bed were a tad bit comfier. Probably great for anyone who likes very firm mattress. Not any cush for a side sleeper. Beautiful condo and we will be going back! Loved our stay, hoping to rent again next year!! First stay but not our last!!! This was our first time staying at Lands End, the complex is like a private part with plenty of amenities and shopping close by. The unit we stayed in was in excellent and spotless condition. We would certainly come back another time and recommend it to friends and family. A absolutely great vacation ! We were several times in Florida for vacation. But this time was the best, a great vacation in a beautyful area. I think we will come back to this place.